Rockstar has released the first story trailer for Red Dead Redemption 2. The one minute 30 second video shows various scene snippets from the game with accompanying dialogue painting a picture of the situations and storyline the gamer will find themselves involved in. In Rockstar's own works, Red Dead Redemption 2 "is an epic tale of life in America’s unforgiving heartland. The game's vast and atmospheric world will also provide the foundation for a brand new online multiplayer experience." 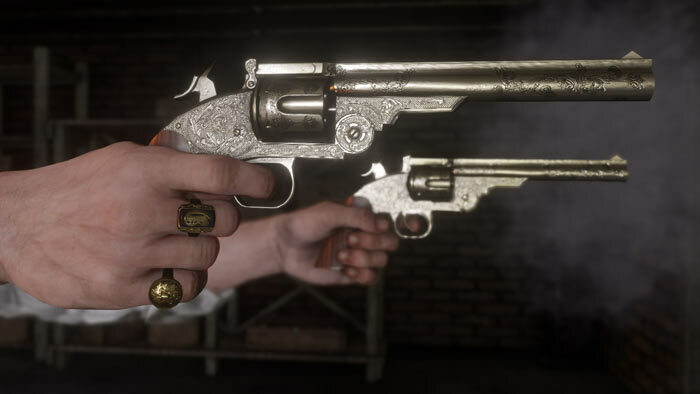 The video shows some of the activities of outlaw Arthur Morgan and the Van der Linde gang as they rob, fight and steal their way across the vast and rugged heart of America in order to survive. In the brief YouTube promo you will be introduced to various colourful characters encountered in game too. If you know the original game, you will be aware this is a prequel, as the Van der Linde gang is subsequently broken up in the events leading to the original Red Dead Redemption story. 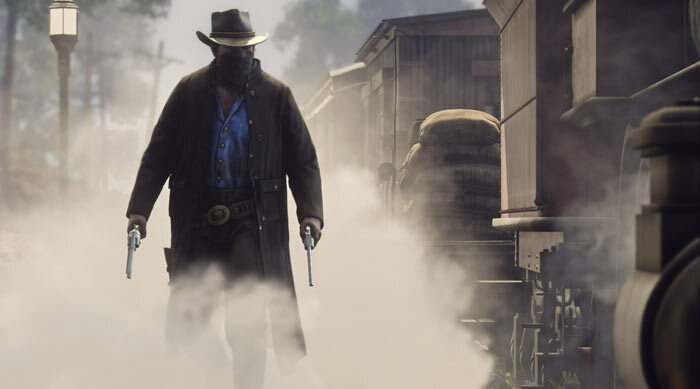 However there is no mention of the original protagonist, John Marston, but it would be expected that he will turn up at some time due to the shared narrative. Rockstar originally intended to release Red Dead Redemption 2 this Autumn, however it has been pushed back to Spring 2018. At the time of writing it is due to be offered up for the PlayStation 4 and Xbox One systems only. It is likely there will be enhancements delivered for Xbox One X and PlayStation 4 Pro consoles. Unfortunately, Rockstar continues to leave PC gamers in the dark with regard to its plans for a version for our platform of choice. I love Rockstar and their games, this looks amazing too but I am starting to look at Rockstar with one eyebrow raised. The game is not going to look like that on a standard console (I refuse to buy into the ps4 pro or xbox one x hype) and without a PC version being announced any time soon, then there is no way that what I will be playing is going to look like the ads, but that isn't solely down to Rockstar of course. The reason I am unsure about Rockstar now is because of the direction GTA has taken, that was my favourite game series of all time up until GTAV, it's a great game don't get me wrong (the sales say it all) but it didn't feel like a real GTA to me. Oh and don't even get me started on the online with the cash grabbing saints row style stupidness. Constant pointless DLC's that are aimed at children that are below the legal age to own the game, go figure…. @Evilcycle - But if the PC version was announced, you'd just look at this and accept it. And in a way, the “PC version” is announced, in that it's coming out on XBX and PS4 Pro and they're better than most home gaming PCs. Dunno about that, it looks very PS4ey to me.